I was sitting in a lecture yesterday afternoon, or maybe daydreaming my way through a lecture is a more correct statement, when I had a sudden realisation; an epiphany of sorts. Ever since my first few lectures of first year I've never really been a total fan of my degree course (Drama Studies) but I've never been able to really put my finger on why. Obviously I know that "uni isn't all about fun, you're there to learn" but this went deeper than having to learn a few key phrases. And I'm not saying that I hated every single second of it; I did like some modules and I've definitely learnt a lot but for the most part I honestly haven't enjoyed it. I've always struggled with (a.k.a hated) the fact that learning and education now-a-days is less about learning or finding out interesting yet useful things and more about jumping through the right hoops in the correct order. Add this struggle to my regular daydreaming and doodling my way through lectures and I found myself sitting in class coming to a realisation of (drum roll please).....I don't care. I don't mean this in a pretentious drama jazz-hands sort of way; I just don't care. I was sitting in a class full of people, listening to them talk about Brechtian styles, Stanislavik emotion and heaven knows what else and while I understood most of what was being said I just didn't care. I realised I don't care because I don't want to be a part of the *drama world* where we analyse and nit-pick and where I feel like my brain might shrivel up if I have to listen to endless pretentious speeches about long-dead practitioners. I don't want to graduate next year and end up in a job where I'm always reciting absolute crap I don't care about like play structure and how everything is a copy of something else (well duh, it is 2016, every thing has already been done at least once.) and just ugh; no. 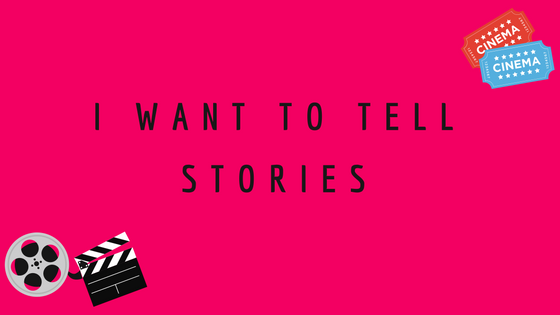 What I do care about is stories, I want to tell stories. Stories that are important, necessary and fresh. Stories about women, children, LGBTQ+, families, friendships, relationships, identity, everything. I want to make, write, act in, direct and tell stories that I myself needed when I was younger and that I still need today. I want to make things accessible; whether that's films or web series' or just online creative things, I don't know. I just want to tell stories and share them. Growing up as lesbian in the countryside I didn't really have anything to turn to other than whatever I could find online and there is only so many times you can watch the L Word. Earlier this year as every single LGBTQ+ woman was killed off her show I turned more and more to webseries; where the episodes are freely available to anyone with a laptop and where they are all still alive at the end of each season. That's the world I want to be part of. I want to create things that help people, that send a message; whether that's "you are not alone" or "chill out and laugh with us for twenty minutes". I want to tell stories. I'm just not sure how to get there yet. I'm writing a play this year and so far my notebook is full of ideas that will work wonderfully with camera angles and drawn out character development reveals but not so much on a stage in 60 minutes. And as for my other classes well, let's just say the margins on my notebooks are great for patterns..
my notes from both lectures yesterday, and yes I realise the irony of "documenting is important." For now I'm going to power through this final year, apply for drama school (because why not) and start internally singing anything from a musical whenever a dull old practitioner appears in conversation again. Oh, and send semi-begging emails to anyone and everyone with a webseries asking if they need a stalker shadowing/helper girl.